Sometime this spring, the Washington Legislature has to enact a two-year budget that will address “Obamacare,” the federal government’s health care reform law. When it does, will partisan wrangling tie the Legislature in knots, as occurred in Congress? Leaders on both sides of the aisle predict some debate. Maybe a few short-lived parliamentary maneuvers. But nothing like the battle that occurred in the other Washington. “Anybody who was close to the system knew it was falling apart,” said Mike Kreidler, Washington state’s insurance commissioner. With double-digit rate increases, painful cuts in health insurance benefits, bankruptcies from medical bills and cost shifts from the uninsured to the insured, “it was not sustainable,” Kreidler said. The biggest issue still before the state is whether to accept federal money to expand Medicaid, the health program for the poor. The governor supports expansion. Democratic legislators tend to support expansion and so may some Republicans. Even the influential Association of Washington Business has said it’s behind Medicaid expansion. “Expanding the program is the clearest solution currently available to mitigate the pressures the uninsured will continue to have on employers, consumers and health care providers,” the association said in a February news release. Today, Medicaid provides a complex array of health care benefits to low-income children and to adults who fall below the federal poverty line. The state pays half the cost and the federal government pays half. Under the federal reform law, Medicaid eligibility can expand to 138 percent of the poverty line, and federal funds will cover 100 percent of the expansion cost through 2016. According to the law, the federal share will gradually diminish, remaining at 90 percent after 2020. Even so, Schmick predicted Medicaid expansion, and acceptance of the federal dollars to fund it in Washington state, will get “incorporated in the budget and I don’t really think we’ll get a chance to vote on it” as a separate issue. State Sen. Randi Becker, a Republican, chairs the Senate Health Care Committee and in that capacity exerts major influence over the way Washington will implement the new federal reform law. Although she describes herself as “not a fan” of the Affordable Care Act, Becker called Medicaid expansion a “win-win for the state and the people of the state, to get insurance they don’t have right now.” Her concern, she said, is to make sure the state will have a process to decide what to do if federal government does not live up to its funding commitment. The federal money will create jobs, Inslee said, particularly in health care as more people get coverage. In December, the state Office of Financial Management estimated the federal health reform law will create or save 16,221 jobs in 2014 and 13,559 jobs in 2015 if Medicaid is expanded. Without Medicaid expansion, the law would create or save 8,552 jobs in 2014 and 10,282 jobs in 2015, OFM said. According to Kreidler, premiums for an insured family are inflated by $1,000 a year because hospitals raise their rates to paying customers to help cover the cost of emergency room care for the uninsured. In states that decide not to expand Medicaid, hospitals will feel a pinch. Presumably they will keep providing uncompensated emergency-room care to low-income people. But they’ll also lose a third to half of the federal dollars that have historically gone to hospitals providing high levels of uncompensated care. Congress reduced this “disproportionate share” funding on the grounds that Medicaid expansion would reduce the need for it. Nationwide, these federal payments to hospitals exceeded $22 billion in 2011, according to the National Health Law Program. Eileen Cody, a registered nurse and chairwoman of the House Health Care Committee, said “there aren’t that many stupid politicians in Washington state to say no” to Medicaid expansion funding. 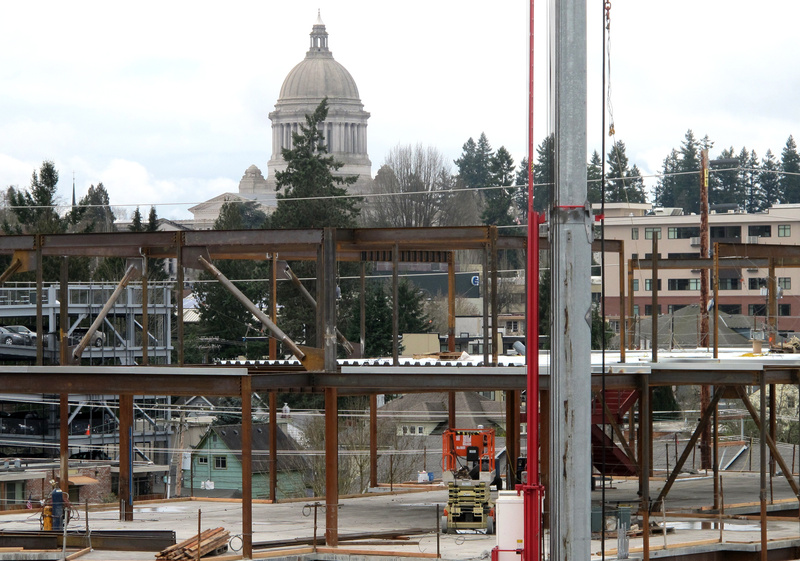 The federal expansion dollars, state officials say, will end the need for Washington to spend money on a variety of health programs for the poor; this will save the state $140 million over the next two years, according to a December analysis by the governor’s office. “I’m feeling pretty good about health care” this year, said Cody, who in previous legislative sessions has fought to enact laws governing Washington’s implementation of the federal law. Meanwhile, back in Washington, D.C., where a crisis atmosphere continues, what will happen to the new federal health care dollars states are expecting to receive? Medicaid was exempt from the automatic “sequestration” cuts that began March 1. So the Medicaid expansion money should be safe, state budget officials say. Funds to develop Washington’s new insurance-buying website likewise are safe, because they already had been allocated, officials said. Becker was asked if she thinks the federal health reform law will work.